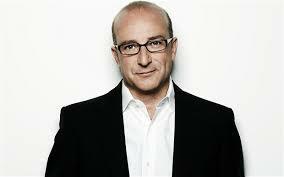 Paul McKenna is a bit of a legend in the field, though now that he’s moved to Los Angeles we don’t see so much about him. The biggest thing I got from training with Paul was that the basics done really well are what wins. Understanding the brain’s systems and seeing the simple patterns that run, and then using these to help facilitate change is a more sure winner than complex approaches. He also imparted some very impressive specific techniques. I’m really glad I’ve had the chance to train under Paul. 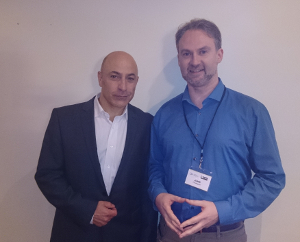 Dr. Michael Paterson OBE, EMDR Institute trainer. Michael is one of those rare people who spend their lives making other’s better. When I went to study Psycho-Trauma I looked all over the world, considering options from California, to England, Italy and even Australia. Then I found Michael and knew I’d found the right guy for me. He lost both arms in a terrorist attack in the 1980s and later in life became a psychologist, trainer, and therapist. This man knows trauma from both sides and is an amazingly gifted clinician and trainer. I’m eternally grateful for his kindness, insight, and support over the years. Dr. Richard Bandler is the co-creator of Neuro Linguistic Programming. With decades of experience in changing lives for the better, multiple best selling books, and amazing success to his credit Dr. Bandler is a giant in the field. Paul McKenna trained under him and describes him as ‘The world’s greatest living hypnotist!’ I had the good fortune to train with Dr. Bandler in Orlando, Florida when becoming a Licensed Trainer of NLP. It was one of those special opportunities in life that I will always be grateful for. Dr. Joe Griffin is a research psychologist with many years’ experience both in psychotherapeutic practice and in training psychotherapists and is hugely influential in the world of psychotherapy. He’s a director of the Human Givens College in London and one of the leading experts on lifting depression in the world. By combining hypnotic states with practical therapy methods the Human Givens approach has shown results such as lifting 75% of depression in 5 or less sessions. Having had the opportunity to study with Dr. Griffin lifted my ability to help people suffering depression significantly. I really found him to be an excellent, results focused, trainer. 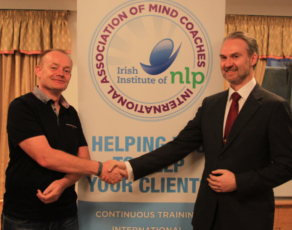 Brian Colbert, Master trainer of NLP and Co-Founder of the Irish Institute of NLP. Bestselling author of The Happiness Habit, and From Ordinary to Extraordinary.Brian is one of those special people who make your life better as they train you. I got way more than the skills I was after when I trained with Brian. 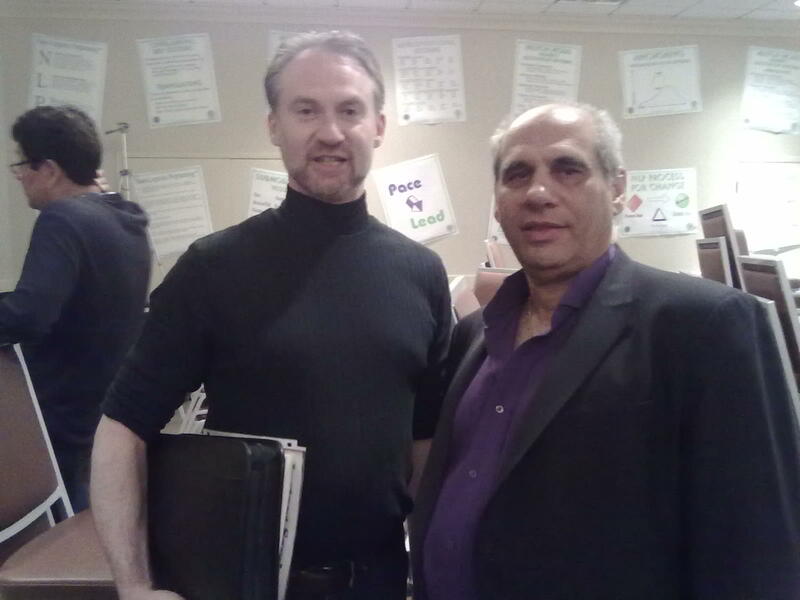 I did my Practitioner of NLP, Master Practitioner of NLP, and my NLP Life and Business Coach with Brian. Dr. Joe Keaney, Founder of the ICHP. 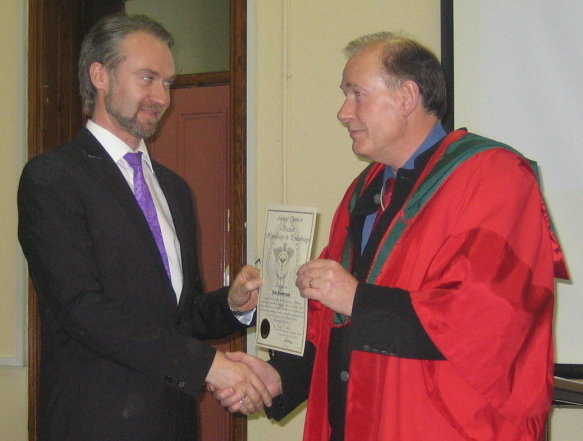 The foremost trainer of Hypnotherapists in Ireland for over thirty years. 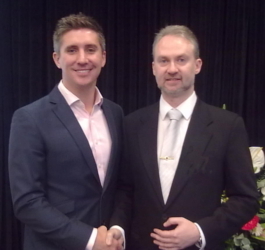 Dr. Keaney is one of the most experienced Hypnotapists in the world. He’s carried out over 25,000 clinical inductions, trained hundreds of therapists, and changed the lives of thousands in his career. I did my basic training with Dr. Keaney. That got me started and set me up to learn so much more and to develop a real practice helping people. 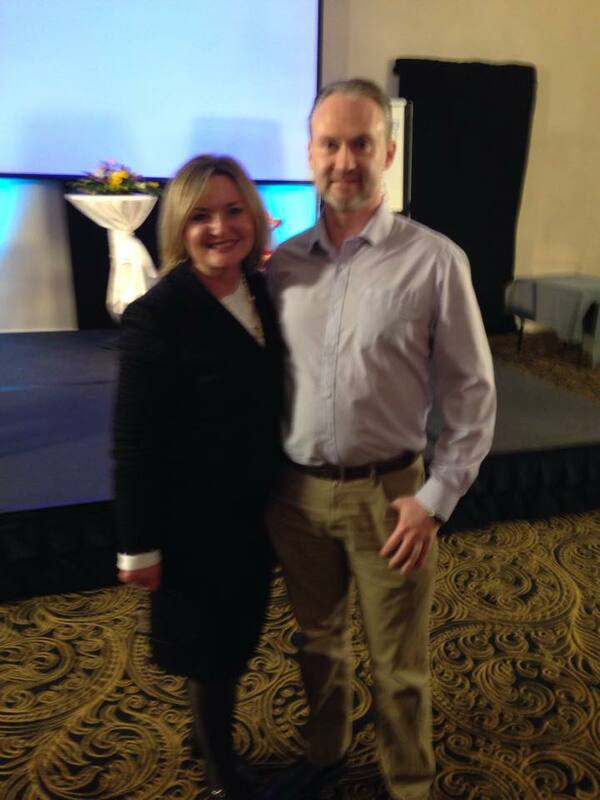 Owen Fitzpatrick, Master trainer of NLP and Co-Founder of the Irish Institute of NLP. International motivational speaker, TV presenter of ‘Not Enough Hours’, Bestselling author of The Charismatic Edge and Not Enough Hours. He’s also the creator of ‘The Charisma Bootcamp’. 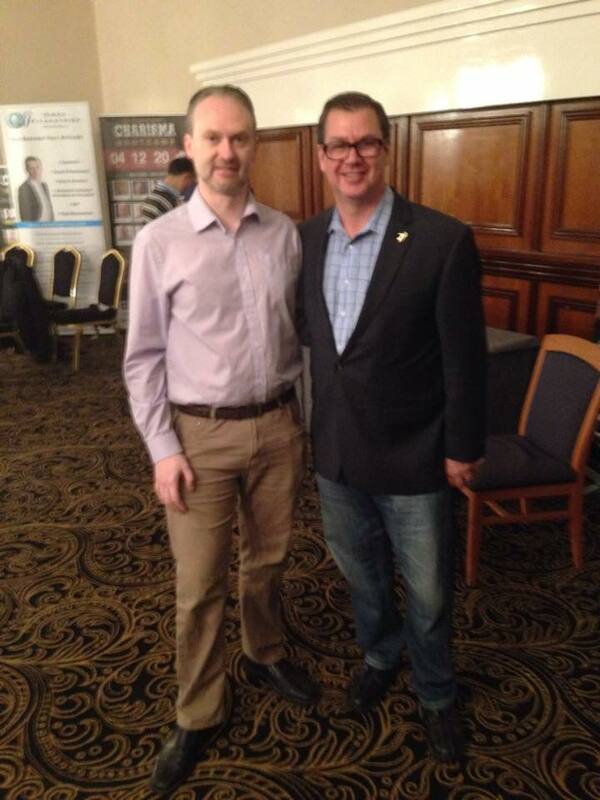 Owen and Brian Colbert delivered my training as a Practitioner of NLP. 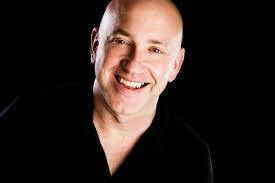 Rob Kelly is a Trainer of Hypnotherapists and creator of the ‘Thrive’ Programme in the UK. His expertise in Sexual Abuse cases is where I sought him out. Rob has worked in this field for over twenty years, working with survivors, and also with perpetrators within the prison system, to see what insights could be gained to help more people overcome the disastrous after effects of sexual abuse. His training was excellent and comprehensive. It really made a difference in my ability to help abuse survivors. Mic helle Mone took me by surprise. I was only slightly aware of who she is when I had the chance to be one of 20 people invited to meet her. I’d heard the headlines, ‘Most Powerful Woman in British Business 2012’, founder of Ultimo, OBE for her contribution to business. I had an expectation. It was wrong. Michelle was open, personal, and straight to the point. Her insight was amazing. I came away with a realisation that resourcefulness is the thing that wins. It’s better than money, luck, or connections. The ability to make an advancement in your life regardless of where you are, what you have, or who you know is an ability that will take you anywhere. Resourcefulness wins. I was really impressed that Michelle stayed and had tea with us and chatted for a long time after the seminar. The conversational advice I got during was probably even more enlightening than the official part. Margaret Considine is head of the negotiation programme at the Irish Management Institute and has a resumé that’s unbelievable as well as having been in numerous high stakes multi-million euro negotiations across Europe and the US. I had the good fortune to learn from Margaret in her Negotiation Masterclass in Dublin. It was one of the most useful and insightful trainings I’ve ever attended. 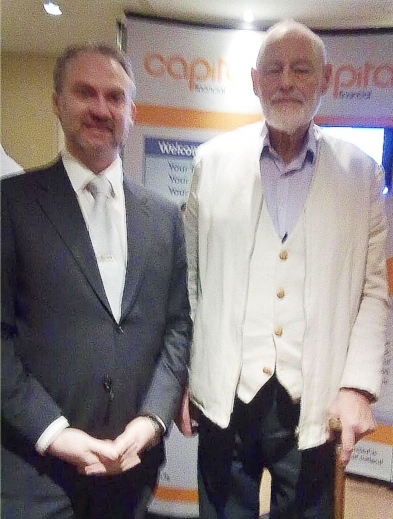 Professor Ivor Browne is another giant in Psychology. Former Chief Psychiatrist of the Eastern Health Board, and Professor emeritus of psychiatry at University College Dublin. He is known for his opposition to traditional psychiatry, and his scepticism about psychiatric drugs. When the story of Fr. 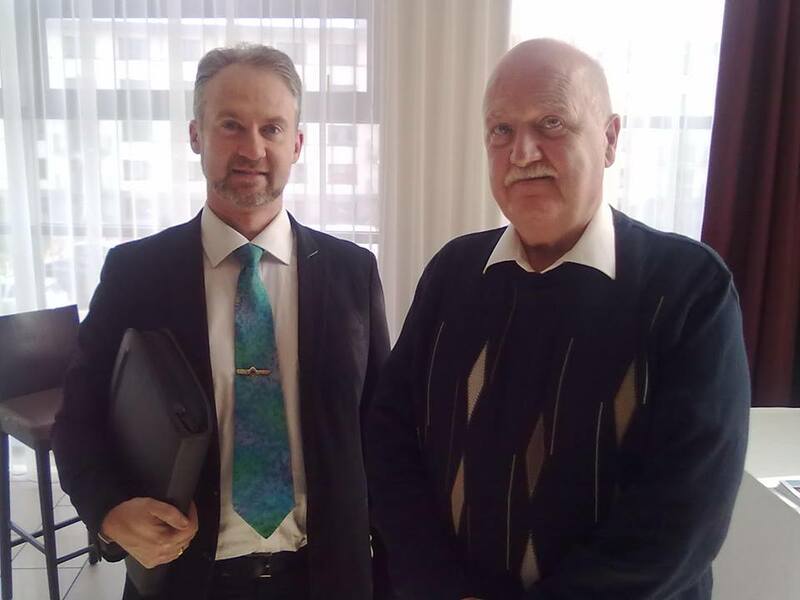 Michael Cleary’s fathering a child broke, Dr. Browne came out in support of Phyllis Hamilton and her children after the Catholic Church denied that they were Cleary’s family. He was denounced by the Church for being ‘antagonistic towards it’. In 1997, Professor Browne was censured by the Irish Medical Council for publicly confirming Hamilton’s story. The council accepted that he had acted in the best interests of his patient and at her request, but found that he had gone beyond what was ethically permissible. Phyllis Hamilton said that she believed that he had acted properly when disclosing information about her relationship with Michael Cleary. His integrity and principles are almost tangible when you meet him. Professor Browne has an almost monk-like feel about him. I’ve always found myself drawn in my his insight and experience. Sheila Granger, Creator of the Virtual Gastric Band (VGB), and International trainer of Hypnotherapy has helped thousands of people in her career. When looking to train in high level weight-loss and weight-control therapy I went straight to the creator of the VGB programme. I really like her practical and real-world approach. 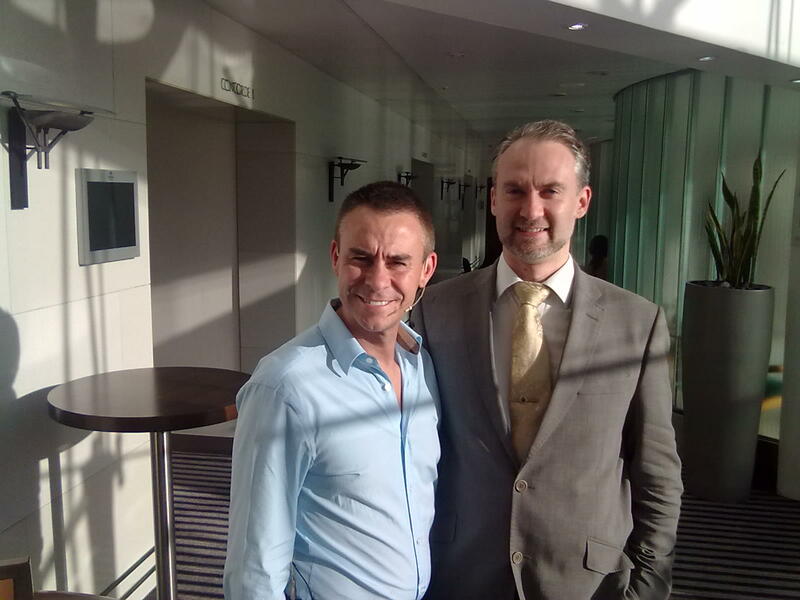 Andy Harrington is one of the the world’s top Public Speaking Coaches. When I realised I could only help people in direct relation to how many I could reach, then training with Andy became a must. He’s a master at how to get your message out there where it will do good. He’s a bestselling business author who’s shared the stage with Tony Robbins, Sir Richard Branson, and Former President Bill Clinton. When it comes to speaking and message delivery Andy’s a must. I’ve been lucky to train with him several times and was honoured to be hand packed to trial his new training systems in London in 2014. Definitely one of the best leaps in my business coaching was training with Andy. John LaValle is the Only Advanced Master Trainer of NLP in the world today. His training in how to reach a room full of people to help them move to make the changes they want in their lives was particularly valuable. I loved the technical nature of his coaching, using oscilloscopes as well as your ears to improve voice tone and quality, psychology of seating arrangements, and more were eye openers. Tom Breeze is one of the most successful consultants in the field of marketing via video in the UK. He holds a Masters degree in Psychology which was the field he expected to work in, but his interests took him into the psychology of marketing. His training on how to get the best results for your business clients was inspired. He’s one of the people I expect we’ll all be seeing more of as the years go on. 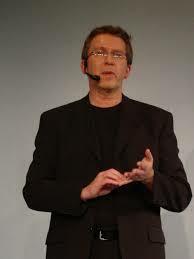 Anders Piper is the designer and developer of the NLP Licensed Sports Performance Coach programme. His focus in the training I did with him was on systems to allow change to become easier and more reliable, so that whatever issue arrived in front of you, you would have a framework and system to see the real problem, and to deal with it to create positive change. It’s icing on the cake that he’s a really nice guy with a great sense of humour. 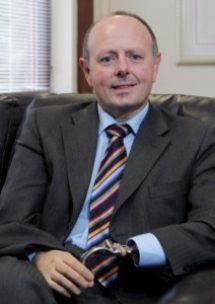 Gerry Cunnningham is Ireland’s leading Mindfulness for stress reduction expert. I had the good fortune to train with Gerry in using mindfulness meditation and therapy to reduce and control stress. The method is shown by NHS research in the UK to be more successful than any medication on the market not only for stress reduction but also in stopping relapse of depression. A very gentle person with great insight and generosity of spirit. 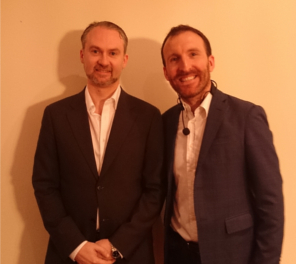 Kevin Laye, Kevin is a Harley Street clinician and trainer of therapists with over a decade’s experience. His training on aversion therapy, overcoming cravings and compulsions, and changing habits and behaviours is first rate. Robin Ellis, TfT trainer. Robin is a true gentleman who really works hard to impart his skills in trainings. He has over 15 years experience and was trained directly by the creator of TFT, Dr. Roger Callahan. 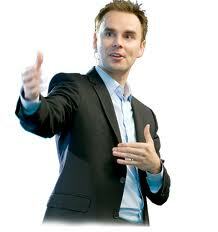 I did my TfT Practitioner Training with him in Cambridge, U.K.
Brendon Burchard is the rising star of self help and business development. For business coaching clients the need to capatalise on social media and mass media is a must. That’s what brought me to Brendon’s trainings. In 2014 he added over a million followers on Facebook to take him to 2.5 million in total. From Presidents to the Dalai Lama he’s known everywhere. Multiple best sellers on the New York Times lists and trainings the world over mark him out as an exceptional person. His speciality in training is showing anyone how to become exceptional. He’s a master of ‘how-to-get-stuff-done’. 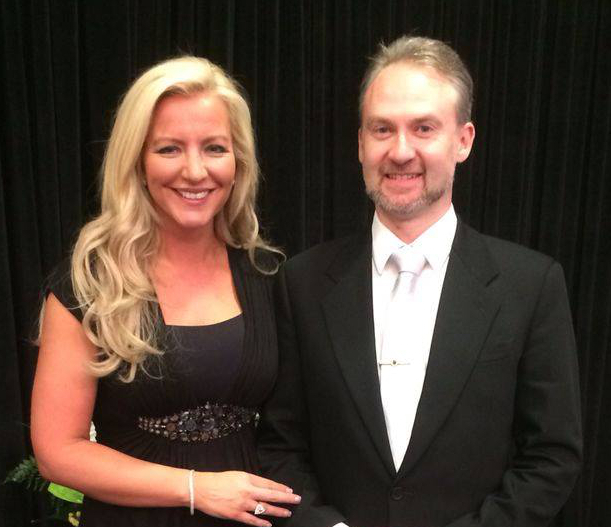 Poll Mousso ulides is one of Europe’s most sought after Voice Coaches and Personal Performance Specialists. He’s coached people at the top of their professions including: Mia Farrow, Whoopi Goldberg, Robbie Coltrane, Cillian Murphy, Richard Dreyfus, Andrea Corr, Elijah Wood, Timothy Dalton, Brendan Gleeson, Jonathan Rhys-Meyers, Pierce Brosnan, & Martin Sheen. I was lucky to have the chance to learn from Poll as my voice delivers a lot of the success in my life and in therapy. Keeping it in top shape and enhancing it’s capabilities is a priority. Tom Zigler may often be in the shadow of his renowned father Zig Zigler, but he’s got game. Even just in casual conversations with Tom insight and practical how-to pours off him. From parenting advice to consistency, through to seeing issues from a different perspective I was surprised how much I picked up from Tom. Facebook One of the more unusual training opportunities I’ve had was inside Facebook’s European HQ. The training they provided was interesting but the real advantage was access to over a dozen in-house Facebook Advertising Experts who were amazing in their willingness and ability to answer every question I had. After a couple of years of Social Media research and use I had learned the basics but had a lot of questions. Facebook is not an easy company to access non-standard info from so this was social media pure gold! Really made a huge difference in my understanding of the subtlety of Facebook’s marketing machine. This has let me cut my marketing clients opt-in cost in half and has cut engagement costs on Facebook by two-thirds! If ever you get the chance to ask questions in Facebook’s HQ, ask every question you have!